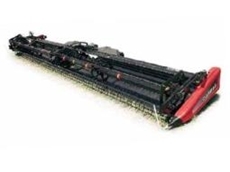 06/07/09 - Available from Case IH, 2152 rigid draper headers are specifically designed to match combine harvester capacities, crop types and yields. 05/08/08 - Larwoods Ag Services offers a wide range of second hand equipment which includes trailing booms, boom sprays, cultivators, mower conditioners, headers, axial flow headers and tractors. 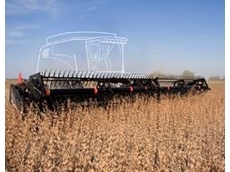 04/08/08 - Larwoods Ag Services supplies a wide range of agricultural machinery such as tractors, harvesting equipment, hay and forage equipment and material handling equipment. 18/07/08 - O'Connor & Sons supplies Bourgault farm machinery such as air seeders, air drills, tillage equipment, grain carts, fertiliser applicators, mowers, harrows and packers. 10/07/08 - Farmpower distributes an extensive range of agricultural support equipment and machinery including fertiliser spreaders, tillage equipment, tractors, loaders, headers, sprayers, cultivators, rippers and seeders. 09/07/08 - Farmpower provides sales, hire and distribution services for new and used equipment suitable for agricultural and farm control applications. 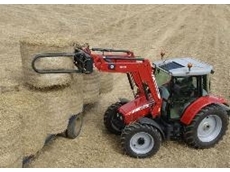 08/07/08 - Boekeman Machinery provides different types of harvesters as well as hay equipment.